Drinking tea when the morning has become a culture and bring a distinctive impression to start a long activity. Not just enjoy the tea, with tea every morning also brings the impact of the spirit through the day. But on the other hand it is regularly consume green tea presents various health benefits for the body and for skin beauty. Maybe some of you do not realize the benefits and content of green tea is very legendary. 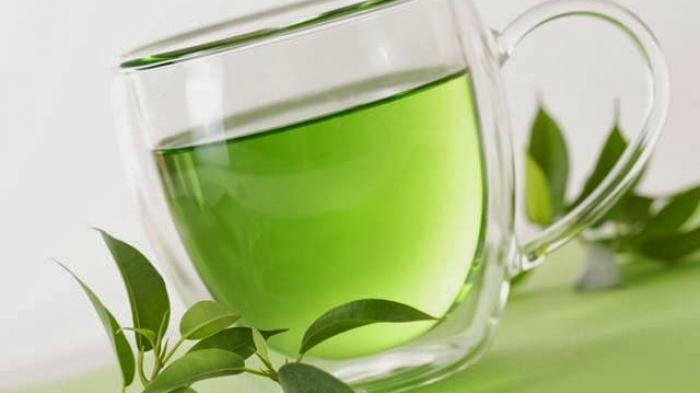 What are the advantages of green tea for health? 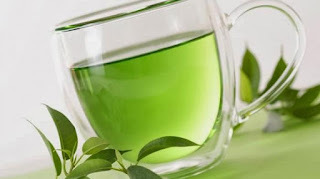 yups ,, turns out green tea has a role to burn body fat, green tea becomes an additional menu for you to do a healthy diet. 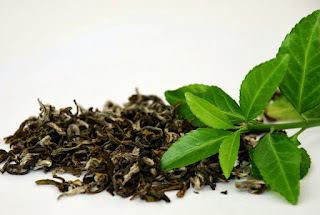 the content of catechins contained in green tea burn fat and improve the body's metabolic system. Green tea is one of the most sought after tea types consumed in the world after black tea / red tea. contains active antioxidants, as you know antioxidants are useful to ward off free radicals, maintain the immune system, prevent premature aging, by consuming 240 to 320 mg of polyphenols or equivalent 2-3 glasses of green tea is strongly recommended for healthy people. catechins, useful as reducing blood pressure, reducing blood sugar levels, reduce cholesterol in the body, as a preventive cancer. flavanols, useful as antioxidants and strengthen blood vessels. vitamin E, useful to prevent premature aging, reduce the risk of stroke and heart disease and prevent the formation of fat in the blood vessels. caffeine, help stimulate the central nervous system, help kidney function, blood flow. and still many benefits of other green tea, no wonder this tea is very popular and widely sought in various parts of the world. some of the best green tea producing countries are China, Indonesia, Japan, bangladesh, argentina, vietnam, turkey and other countries. Tea plants can live in a tropical climate with cool temperatures and usually located in the mountains or the hills and the highlands. Tea cultivation is a very profitable economic commodity, especially one that produces tea plants with the number one quality. Many scientists do research to determine the efficacy and benefits of green tea, from the results of that study resulted in the conclusion of the benefits of green tea, as I mentioned above earlier, and known side effects of drinking green tea is excessive, what are the side effects of green tea? In green tea, Caffeine and catechins (antioxidants) are known to provide many benefits to the body. However, if consumed in excessive doses can cause bad side effects for the health of the body. The following effects of excessive consumption of green tea. At risk for iron deficiency if consumed by small children, pregnant women, and women who are menstruating. Catechins in green tea can interfere with the absorption of iron from the foods you eat. Drinking green tea may disrupt certain treatments and decrease their effectiveness due to the over-strong antioxidants. When taken with certain medications, green tea can increase blood pressure and heart rate. Drinking large amounts of caffeine during pregnancy can increase the risk of birth defects and miscarriage. Consuming too much caffeine can increase feelings of anxiety, sleep disturbances, to stomach and headaches for some people. Results Each individual is different, depending on various factors including body metabolism.